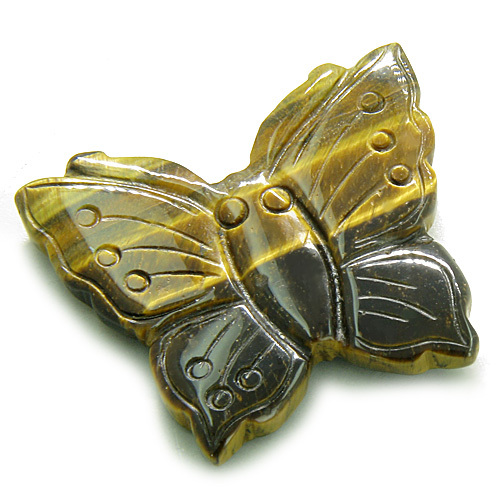 This is Very Special and Individual Lucky Butterfly Gemstone Carving made from Genuine and Natural Tiger Eye Gemstone. This LUCKY Figurine is Evil Eye Protection Amulet and Brings Good Luck and Healing Powers. TIGER EYE is a Very Strong Stone. It Unites so many powers all together. It brings protection from the Evil Eye. Tigers Eye Stone is also used for protection against all forms of danger. 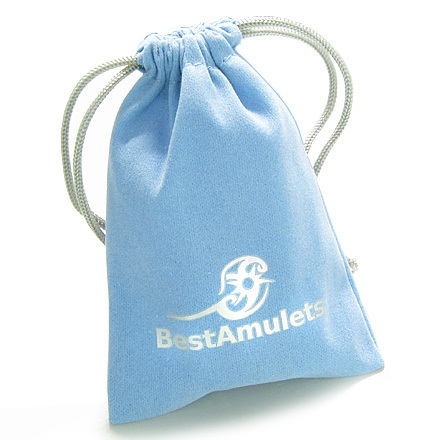 It always been considered Strong TALISMAN in many cultures, especially against the Evil Eye. Tiger Eye was used by Aztecs to Protect their HOME from Negative Forces and Energies of their enemies. They Believed that Tiger Eye Stone will Keep their Home and Family Safe at all times. It was believed that a person possessing one could see everything, even behind closed doors. Tiger Eye stone has been used through the ages to avert the Evil Eye. Tiger Eye helps to defeat negative forces. Because of its ever-changing appearance when viewed from different angles, it helps the person using it to become all seeing, able to view different ways of observing a situation. This Stone Universally thought to bring GOOD Fortune and to Protect from the Evil Eye. A protective stone which keeps an eye on us. It is said to enhance our luck, inner and outer vision and giving us the courage and ability to face and resolve our problems. Tiger's Eye is closely attuned to earth energies, but the shimmering, eye-catching yellow highlights are linked to the sun. Tiger's Eye is a bridge between earth and sky. It also a stone to stimulates wealth and helps to maintain it. Teaches us to see with the eye of the tiger: clearly and without illusion. Tiger Eye is a fine stone for promoting Wealth and Money and for holding on to it. This stone is protective, grounding its owner and dispelling the negative energies of a chaotic world. Clears and grounds negative energy from the body. Fosters the ability to see where others have tied themselves into you, and clear yourself of unwanted connections.